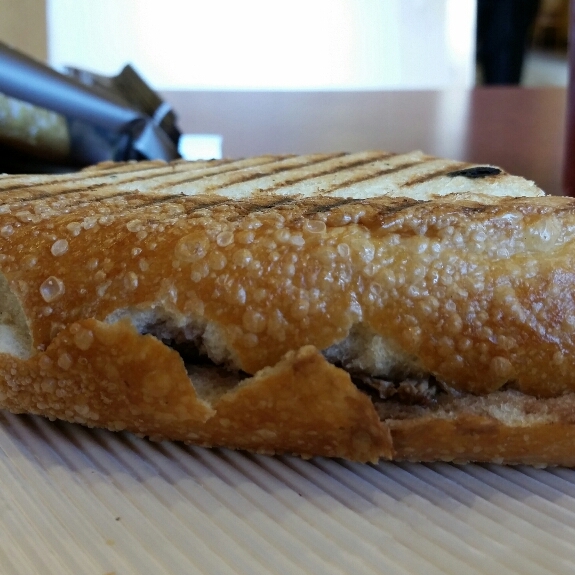 A great little panini at Panera Bread – the Steak and White Cheddar! The sandwich contained thinly sliced steak, white cheddar cheese and grilled red onions. 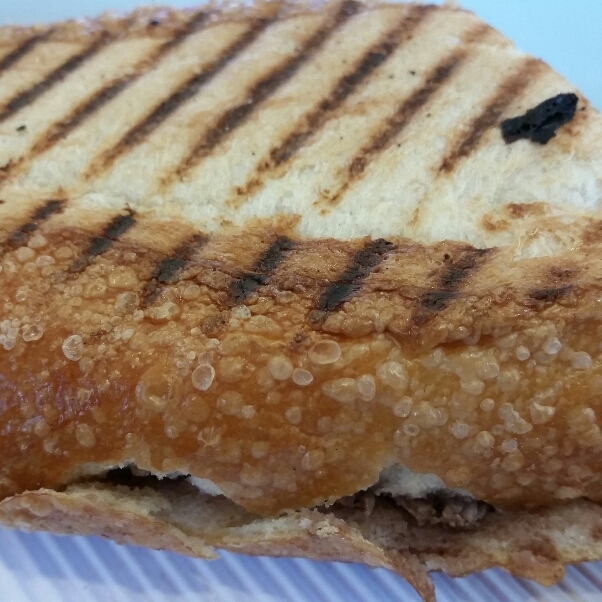 A quick-to-eat small panini, which came with their Kettle Chips. The price was $5.99, and was a HALF of the full panini. Real steak, cheese, and onions – would order again, but without the onions as these seemed a little overpowering with the steak.